Yes. Spread your love and help send a child to camp by donating. Click here to visit our Donate page to make your contribution through PayPal today and help enrich the lives of children in the Detroit area. ARE THERE DISCOUNTS GIVEN FOR SIBLINGS? Yes, however because we are a non-commitment program, the discount will only apply if at least 1 child attends 5 weeks or more. See City Camp Program Hours and Fees for details. *All sibling discounts and other discounts/adjustments will be made on site. HOW LONG HAS CITY CAMP BEEN AROUND? City Camp has been serving metro Detroit families for over 15 years. ARE ALL THE CITY CAMP TEACHERS CERTIFIED? No, we take pride in hiring a variety of people with skills and education that match our program needs. Many of our teachers are certified, but many are not. WHAT AGE GROUPS DOES CITY CAMP ACCEPT? City camp has a wide variety of programming for kids ages 4 1/2 – 15. Visit our Camps page for more info. WHAT IS THE CITY CAMP STAFF TO CHILD RATIO? IS THERE A COST FOR TRIPS OR ARE THEY INCLUDED IN TUITION? Yes there is an extra fee. Trips are not included in the tuition price. We pride ourselves on being an affordable convenient program; you can pick and choose which weeks your child attends and which trips your child participates in. Children are grouped by age. DOES CITY CAMP PROVIDE LUNCH? Yes, we provide lunch daily. Lunch is sponsored through a healthy eating nutrition program. WHAT AMOUNT IS DUE UPON ENROLLMENT AND PRIOR TO MY CHILD’S FIRST DAY OF CAMP? When you send in your registration, you include a $25.00 registration fee for each camper. You must also choose your payment arrangements based on the camp application. WHAT IS A DROP-IN CAMPER? A drop-in camper pays by the day. 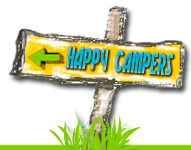 You must determine upon enrollment whether your child will be a drop-in or weekly camper. ARE PAYMENTS REFUNDABLE OR TRANSFERABLE? No – All tuition/fees are non refundable and nontransferable. Visit our Field Trips page which will be updated regularly with all the information you need for your child to have a fun and successful outing! Join the City Camp Kidz Club and watch your child soar above the rest with our tutoring program! Visit our Tutoring page for more details!